My husband Rick and I just returned from Block Island. I never thought we’d return to the same vacation spot year after year, but we’ve fallen in love with Block Island, a tiny little island about 14 miles off the coast of Rhode Island. You have to really love this place to put up with the hassles of getting there. Demand for rentals exceeds supply, so to rent a house you need to book in January and book your ferry reservations in January as well. 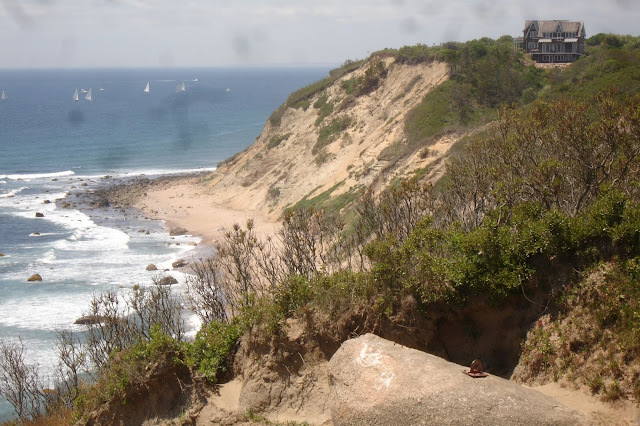 But Block Island is worth it—gorgeous uncrowded beaches, unspoiled meadows and woodland, great restaurants--the perfect chill-out place. We rent a house big enough to invite friends and relatives. Rick is from Rhode Island and it’s an opportunity for him to see some of his RI friends and relatives. Unlike Martha’s Vineyard which is so large that you’re often not aware you’re on an island, on little Block Island you are almost always within sight of the ocean. And there's no problem with beach access. There are no mega mansions commandeering large stretches of beach. We stated going in July/ August, then tried September and have finally settled on June as the perfect time for Block island. 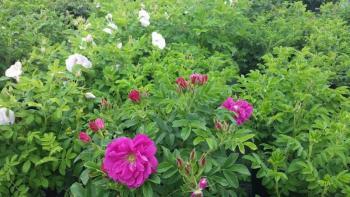 In June the island is covered with rugosa roses. 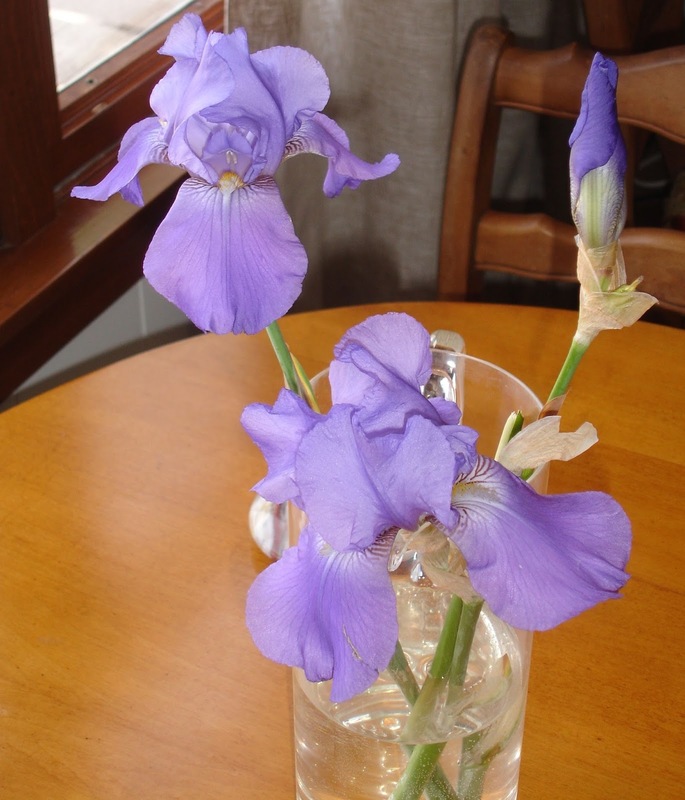 And the flowers I love the most--iris, peonies, lilacs, the flowers of late Spring in my Philadelphia garden--are blooming in early summer on Block island. 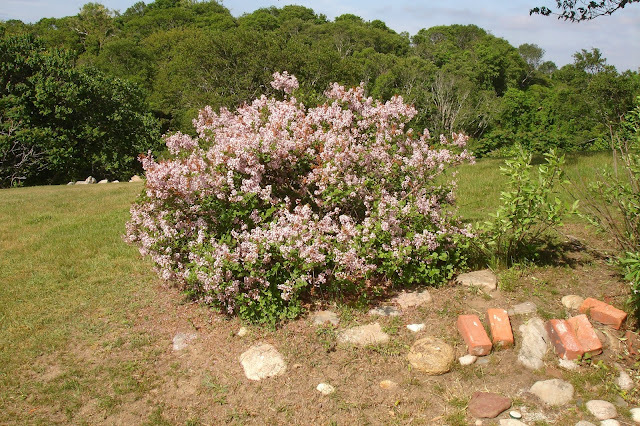 When I said good by to my beloved Ms. Kim lilac in mid-May, I expected never to see it again for another year, but there were 4 Ms. Kim lilacs blooming in the yard of our rental property, along with a peony and some spectacular iris. I didn’t have to wait a year after all! I can’t believe that despite living in Northwest Philly for the past 50(!) years, this was my first visit to the Wyck Rose Garden. 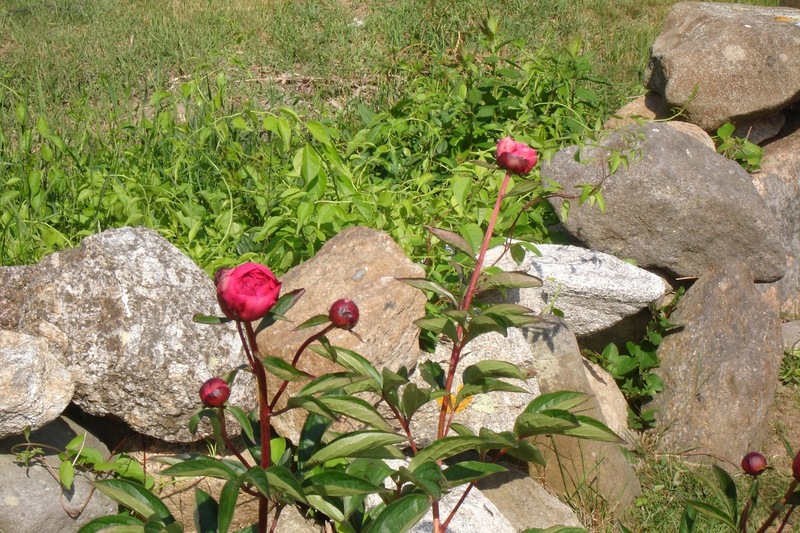 The roses were slightly past peak thanks to an unseasonal heat wave, but the fragrance was still overwhelming. 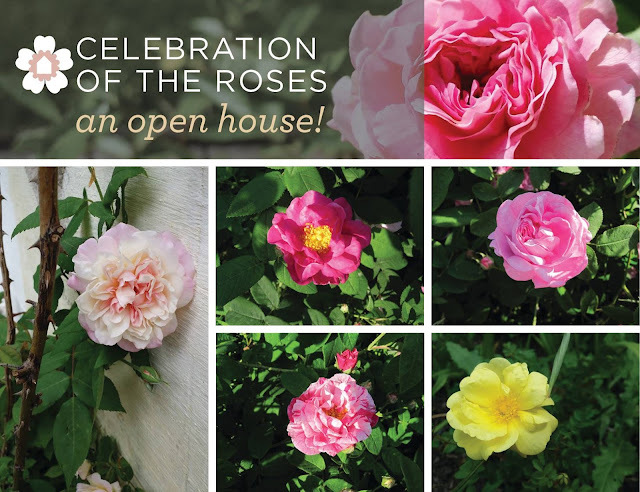 Wyck gives these roses what they want—-full sun. There’s no getting around it; roses require full sun. For many years I tried to grow old roses—-mostly in partial sun. I remember their names: Madame Hardy, Pierre Oger, La Reine, Rose de Rescht. I loved them, and I lost them all. The tour guide at Wyck encouraged me to try again. She advised growing the really old roses—-damask and gallica--if I can find a spot in full sun. I think I’m going to give it a try. It will involve pulling out some plants now in my few spots of full sun, but that fragrance is worth it!